Ithaca Milk® was started a few years ago with the idea in mind that small scale, sustainable farming is possible in a modern farming landscape. The animals and the land that produce our food should be treated with respect, and managed with the living environment in mind. One of the things that makes us unique, is that we produce all our yogurt in our own creamery. 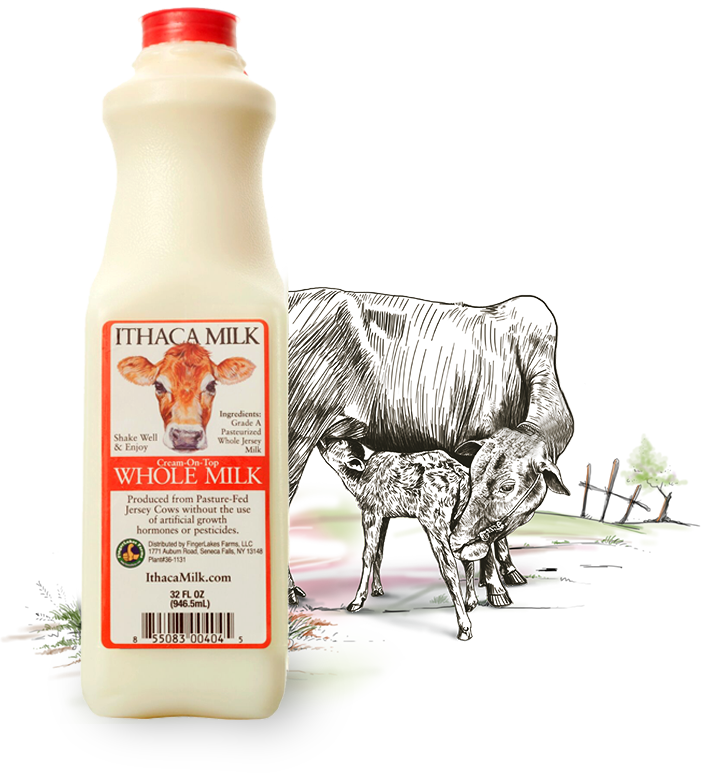 We serve nothing but 100% milk from the Ithaca region. We work with local dairies to give you the best product. We pride ourselves on using nothing but milk from small, artisan farms to get you the best dairy products on your market shelves. Ithaca Milk Yogurt uses the same pure, unadulterated milk. We use small batch milk that has no hormones, no antibiotics, and no RBST. Our Jersey milk is produced in the Finger Lakes region of Upstate NY on three small farms, located within ten miles of the creamery. Each farm is less than 100 acres and milks a small number of animals, about 50 Jersey cows. Jersey cows are perfect for us because they are smaller and eat less, giving less milk with better components than other breeds. The special milk that Jersey cows make gives our yogurt and cream-on-top milk that rich, golden color.